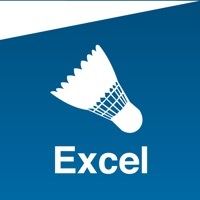 Excel Badminton will help keep track of your badminton progress. Not only can you record your games, you can view your game statistics and those of your saved players. The app is designed to keep score of individual games and matches, provide statistics on the type of winning shots and faults and record the direction of each shot. With this app, monitor your strengths and weaknesses and those of your teammates. In the settings page, you can choose to record singles or doubles games, select individual or a series of games, and fix the score to 15 or 21 points. After setting up the players, their position on the court and the first service player, you are ready to record your game. A screen of the court with two white buttons on either side will appear. When one side scores, you simply press the button of the side that scored. A new screen will appear with the player names highlighted in red or green. 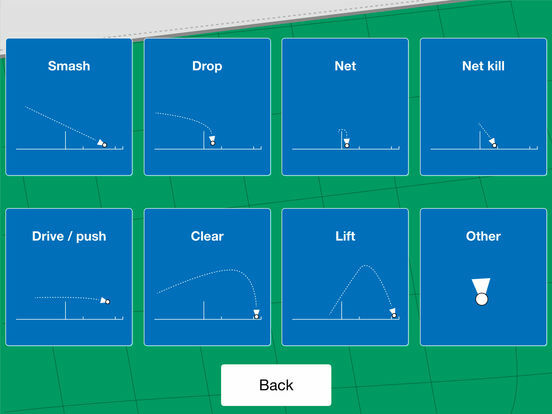 If the score was due to a winning point, select the green player that made the winning shot. If the score was due to a fault made by the opposing side, select the red player that made the fault. For each winning point, the type of shot as well as the beginning and end position of the shuttle are recorded. For a fault, the type of fault is recorded. Tap “Statistics” on the home page to view game or match statistics. Select the “Singles” or “Doubles” tab at the top of the screen and tap on the desired game or match. 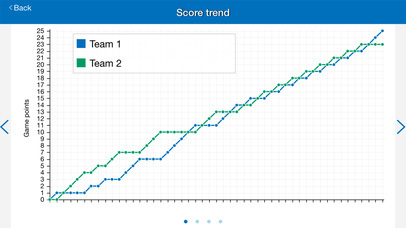 Tap on the graph icon to view the respective statistics of each game, match or player. 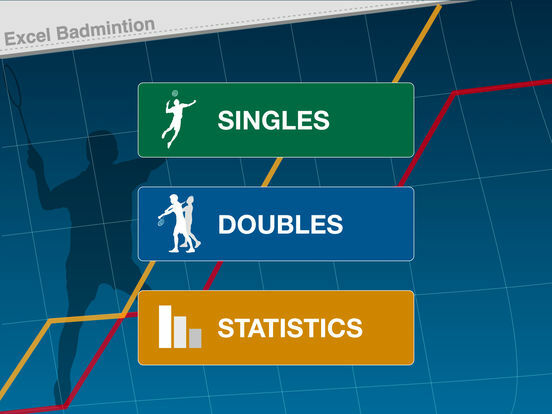 Each page of the statistics can be viewed by swiping the screen. 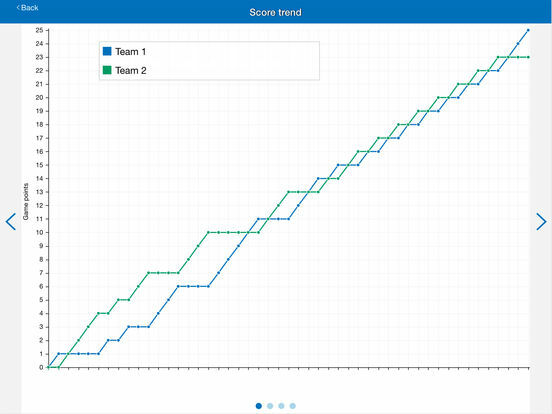 The score trend graph displays the order in which each point was scored. The “Game points” histogram shows the total number of winning points scored and faults made to instantly see if the game was won mainly due to winning shots or due to the opposing team’s errors. A high proportion of winning shots can indicate a high level of players or how equal the level of both sides were. The "Winning shots" and “Faults” histograms demonstrate, at a glance, the total number of each type of winning shots scored and faults made. The next screen shows the type of shots and their landing position. A high number in any particular area of the court can help identify a player’s aiming tendency. The next screen describes in more detail, where each shot originated and where the shuttle landed. With each recorded game, you can distinguish your strengths and weaknesses as well as those of others. The statistics collected over time will help you monitor your development and fine-tune your game strategy.